This international internship has been great for the end of my university studies. I believe that this experience has been probably one of the best things that has happened me in my life. 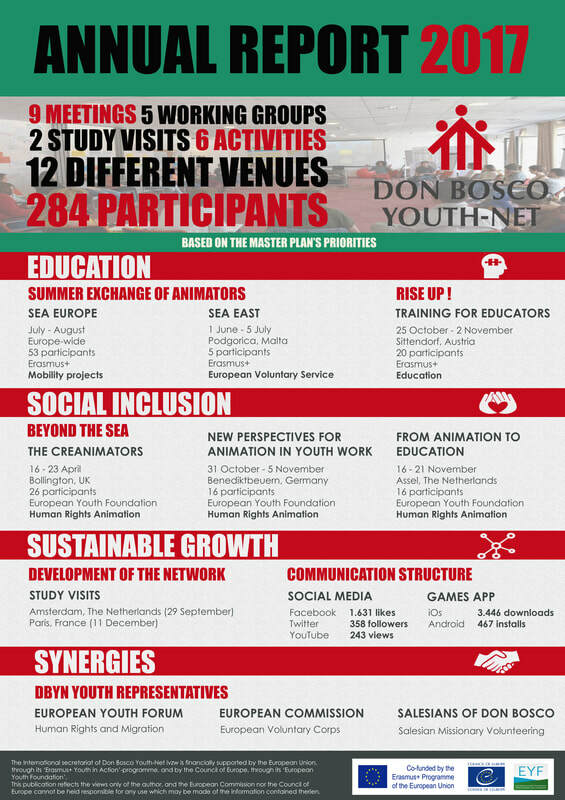 I have worked in Don Bosco Youth-Net as an intern assisting the communication of the network. I helped to strengthen Social Media and communication structure. I am proud of my work here. 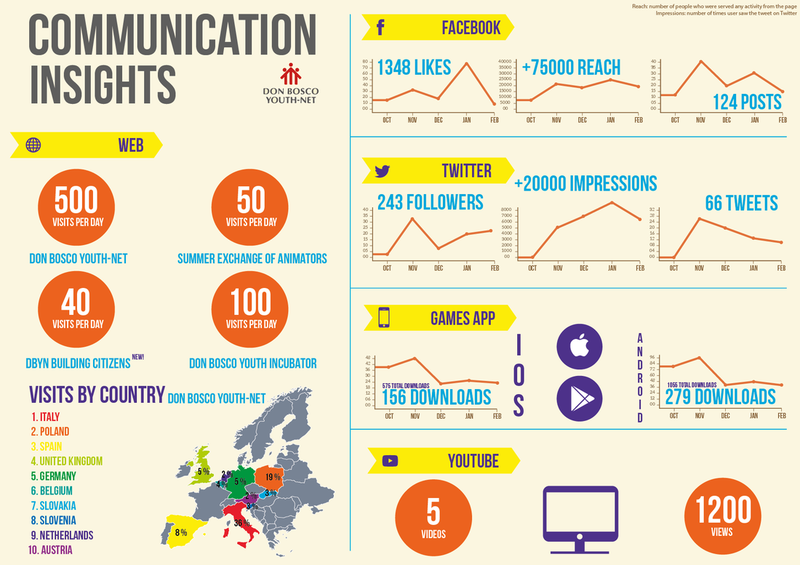 You can see the impact of my work in this infographic. Erasmus+ gives me the opportunity to use my professional skills but I grow as a person too. I have learnt new cultures, new ways of thinking, new food, becoming independent,… Erasmus+ has made me feel more part of European community. I met people who inspire me to have a very open mind and I made friends who have made me life abroad easier. I would like to thank Erasmus+ for giving the opportunity of living this internship, ESN for helping to meet people and to have a great experience, Salesian community of Heverlee for giving me all I needed, Jeugddienst Don Bosco for making me feel part of the work team and Don Bosco Youth-Net for giving me the opportunity of develop as a professional and launch my career. I have learnt a lot from all of you. This internship has been a beautiful, exciting, great and different story. I go back home being a better person. Salvi Macías Parrado, the intern. How does DBYN impact youth policy? Interview with DBYN youth representative Lilli Graf.